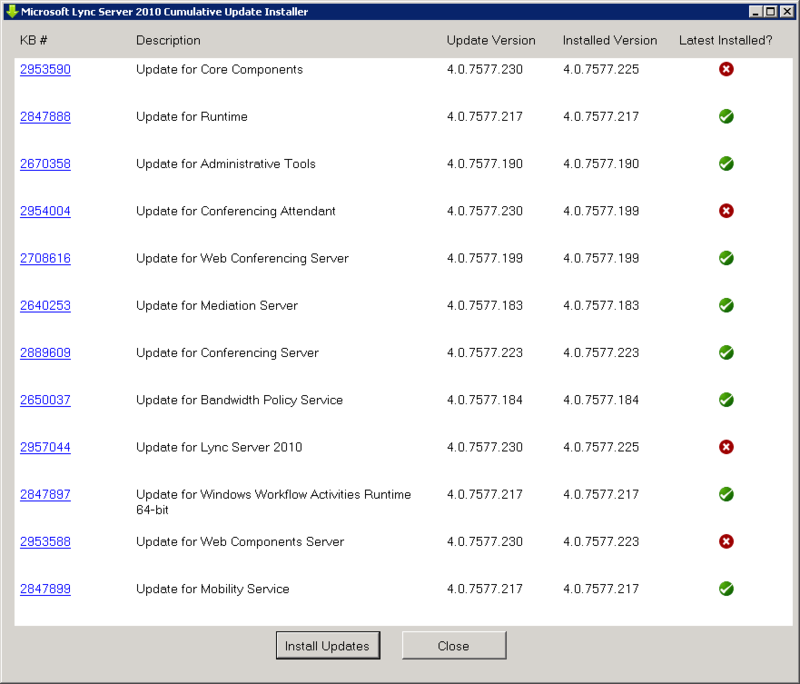 Here’s the Q2 update for Lync Server 2010. Nothing I’ve managed to unearth, although that’s hardly surprising at this stage in the product’s life-cycle. 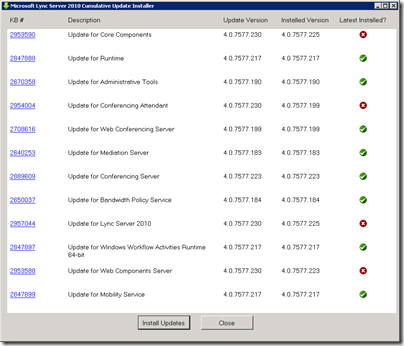 This update takes Lync 2010 Server to 4.0.7577.230. Oh, and the installation process requires a reboot.